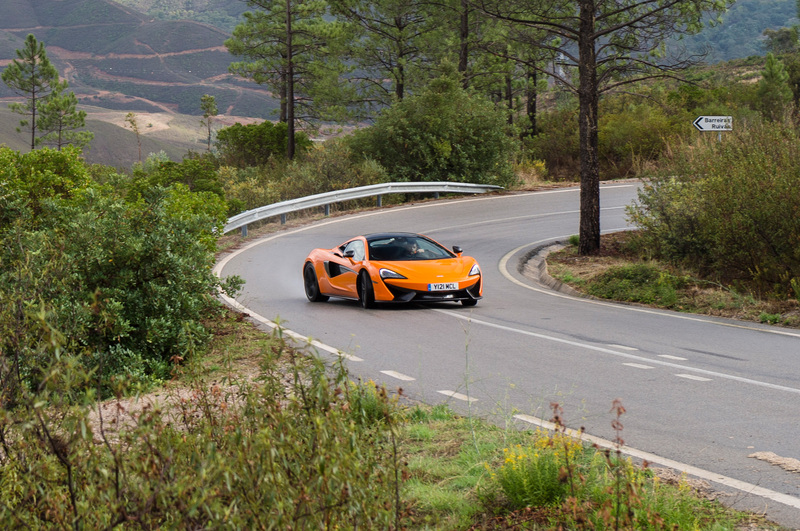 FARO, Portugal — My first beer of the evening is a small European one, but it will certainly be the last, because already my mind is playing tricks. 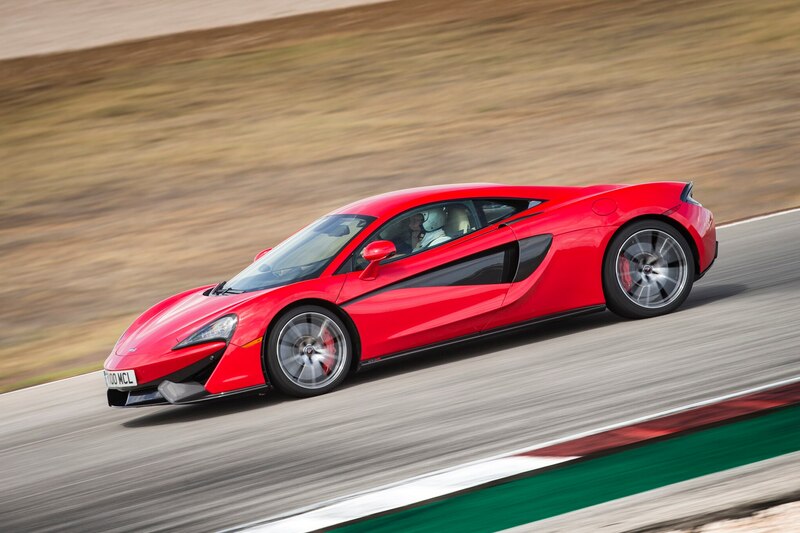 I’m sitting at a dinner table with Mark Vinnels, McLaren Automotive’s director of new vehicle programs. 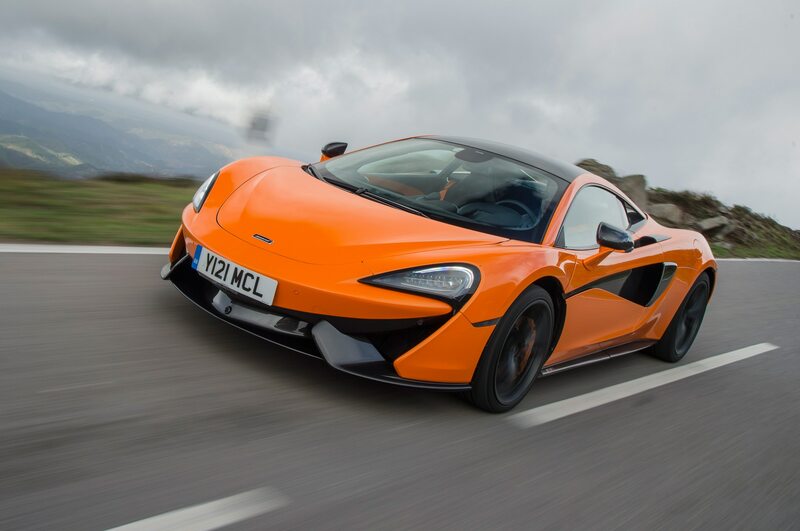 We’re at the launch of the new 570S and talking development targets, rival cars, and all the usual stuff. 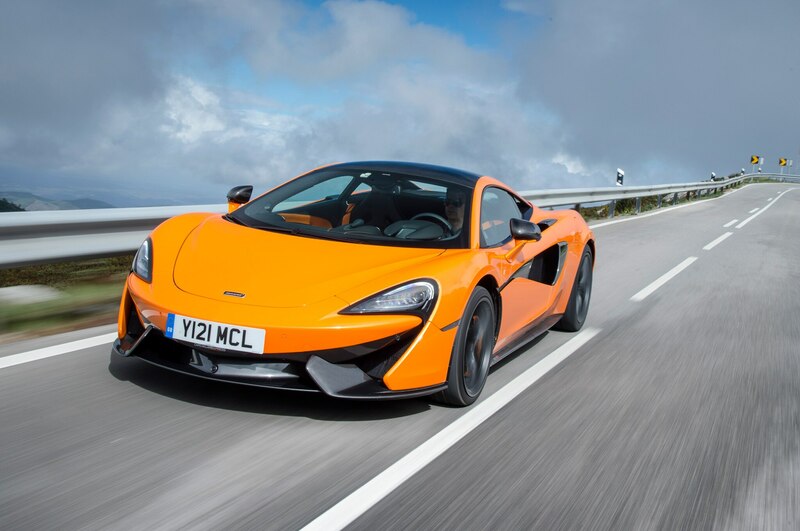 The 570S is McLaren’s new “Sport Series” car to join the established “Super Series” (650S and 675LT) and “Ultimate Series” (P1 and P1 GTR). 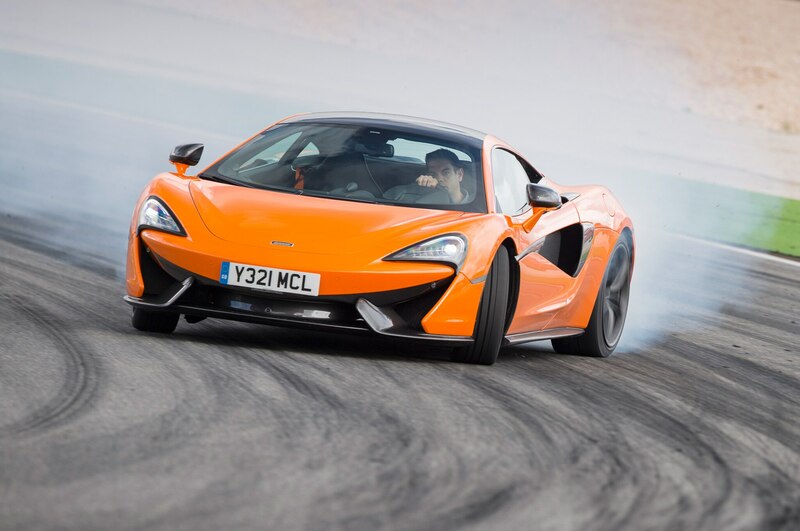 To you and me, this means it is a Porsche 911 Turbo S or Audi R8 competitor, but Vinnels doesn’t seem to want to talk acceleration figures or lateral g. He’s all about the subjective, the involvement. 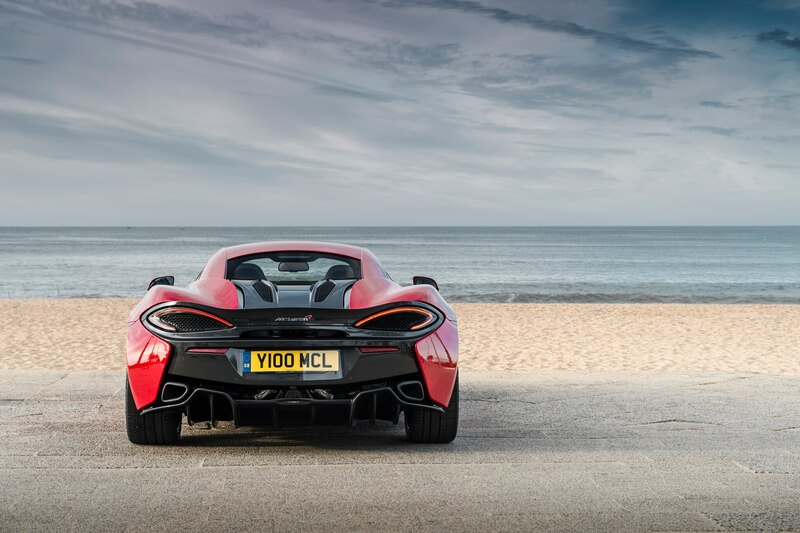 The 570S represents the new McLaren, then: One with an assured identity, and the understanding that numbers alone do not define a great car. 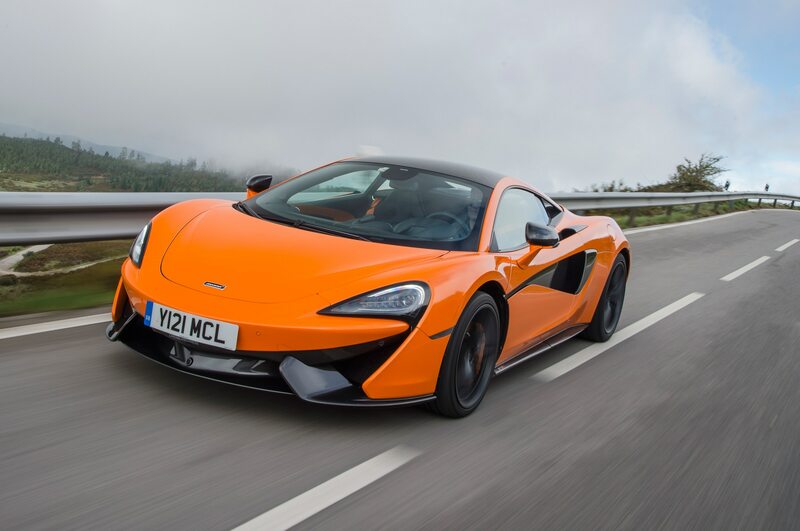 This should warm the cockles of any enthusiast, and my confusion stems not from the message itself, but the source. 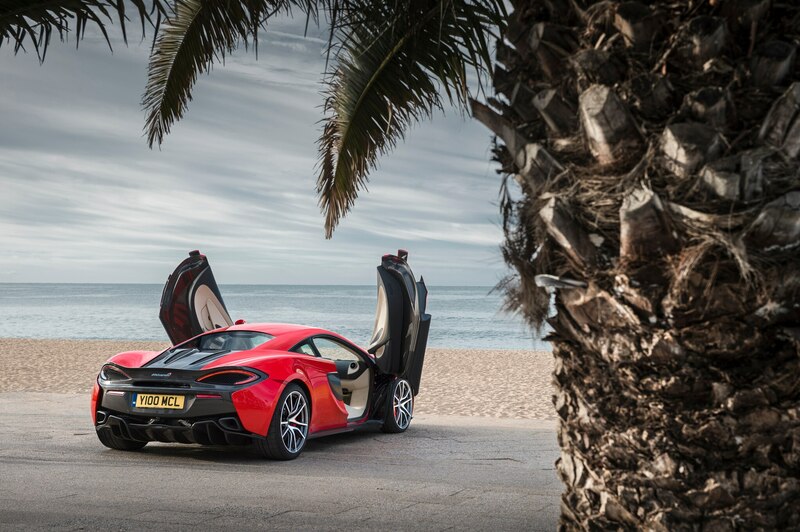 In McLaren Automotive’s early days, the simple notion of “enjoyment” was buried beneath endless objective targets. 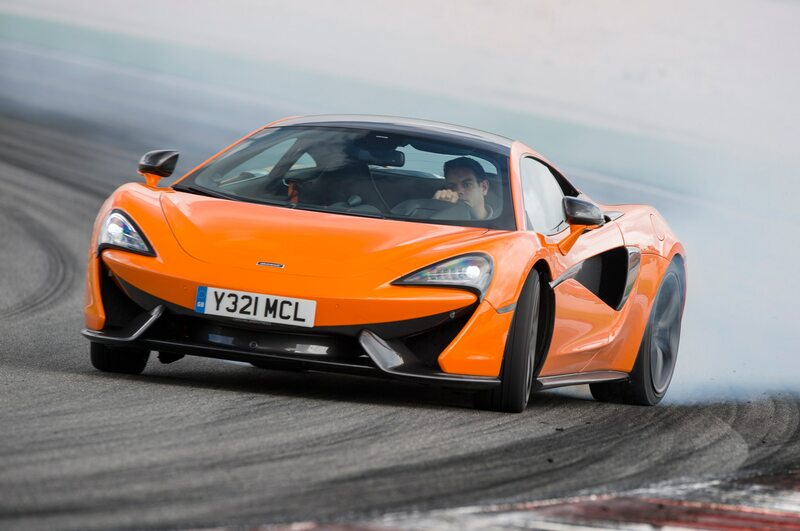 For example, the convoluted Mason’s handshake required to disable the MP4-12C’s traction control was a metaphor for the whole car: Come and be impressed; just don’t get any ideas about influencing how this car goes down a road. 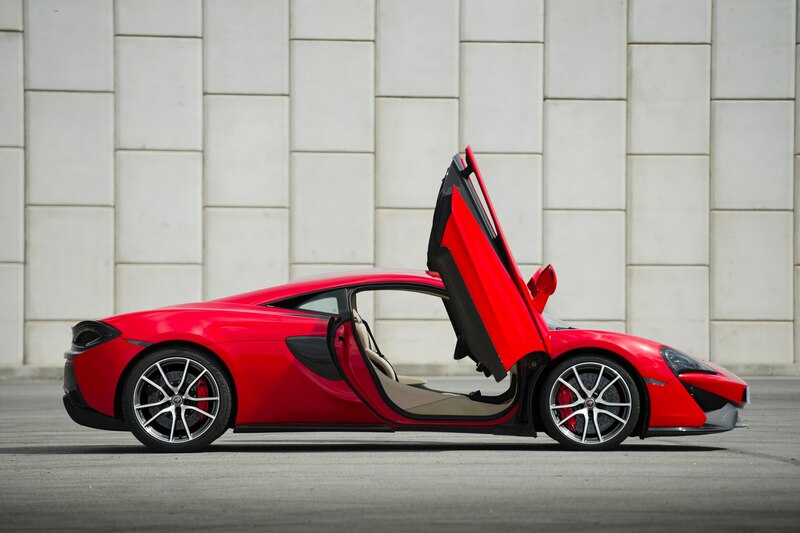 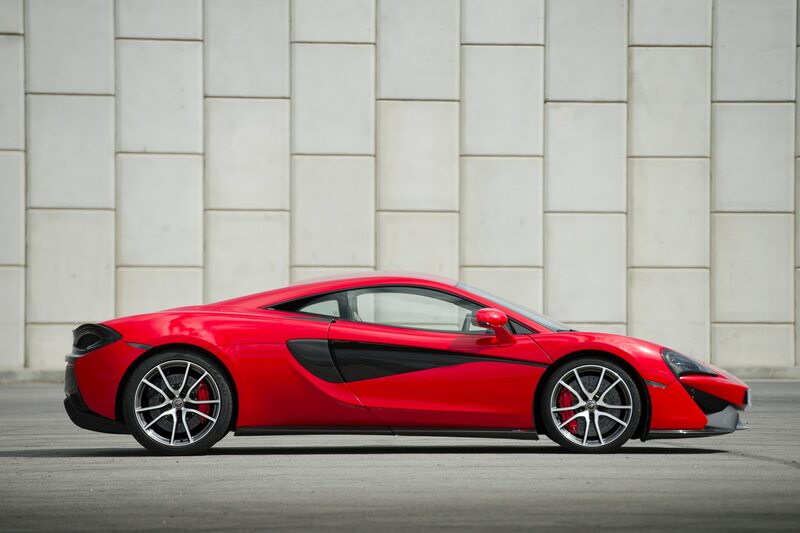 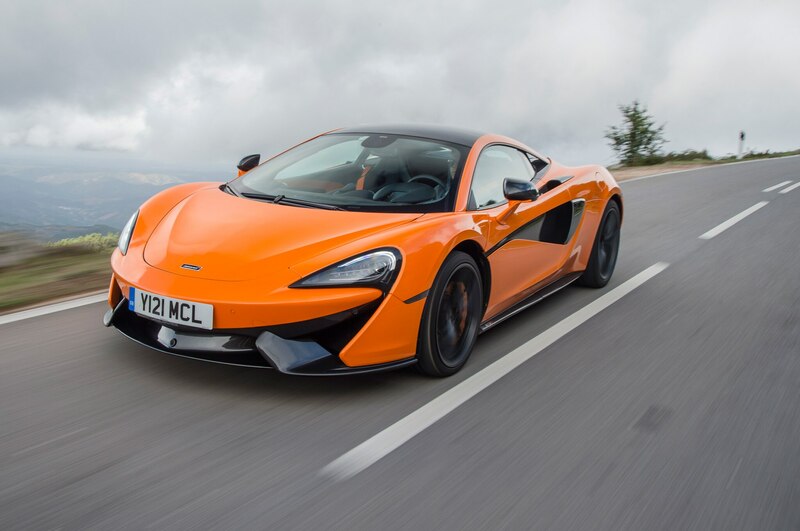 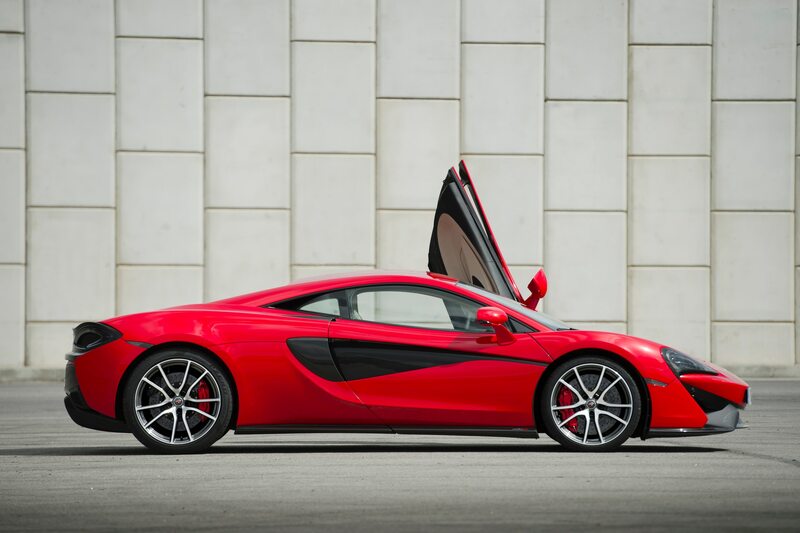 The 2016 McLaren 570S, according to Vinnels at least, approaches the whole supercar thing with a philosophy diametrically opposed to those early days of shock, awe, and graphs. 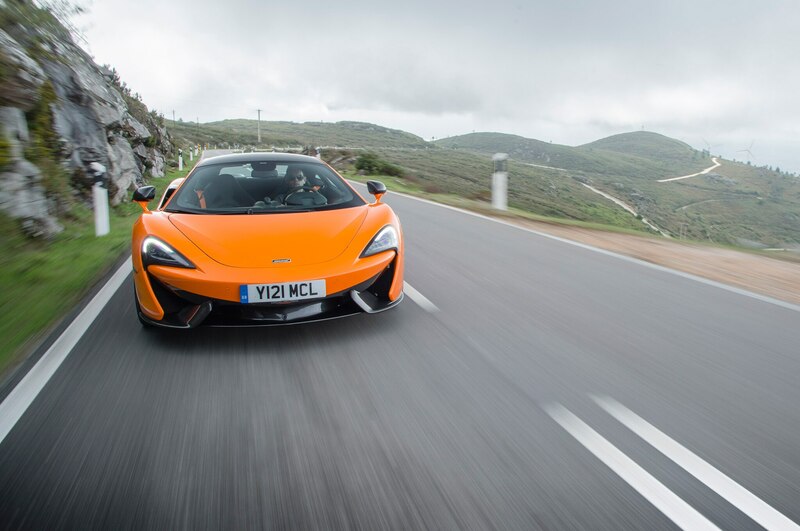 We’ll find out if that’s true in due course on the utterly fantastic Portimao race circuit near Faro, Portugal, and on roads draped over the surrounding hills. 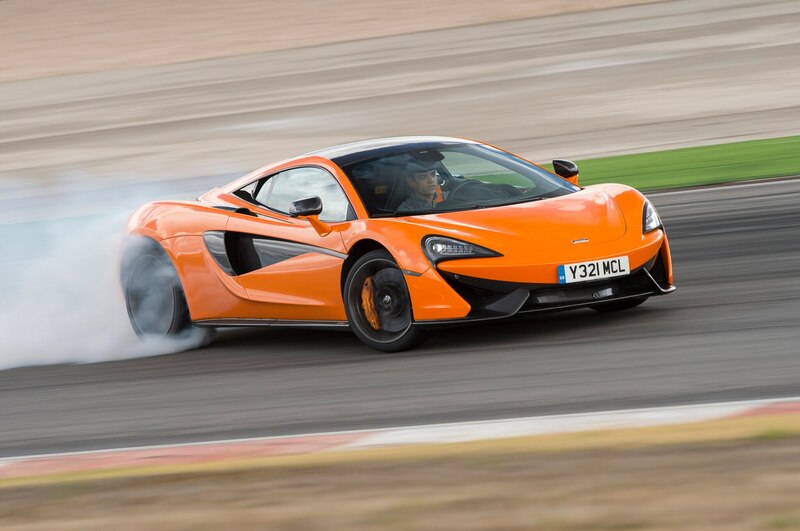 But, if McLaren will forgive the impudence, let’s talk numbers first. 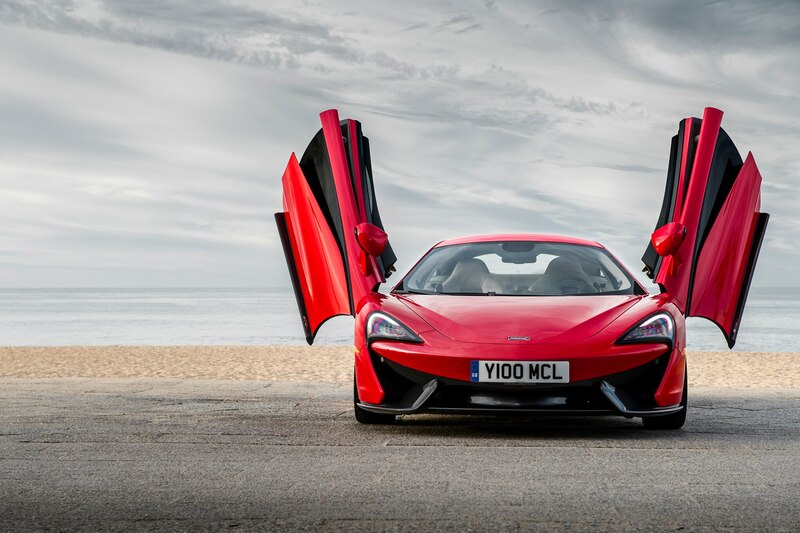 You know the basic ingredients already because you’ve seen them in the 12C, 650S, and 675 LT. At the core of the 570S is a carbon fiber “MonoCell” tub, here modified for easier cabin entry and said to be marginally stiffer, too. 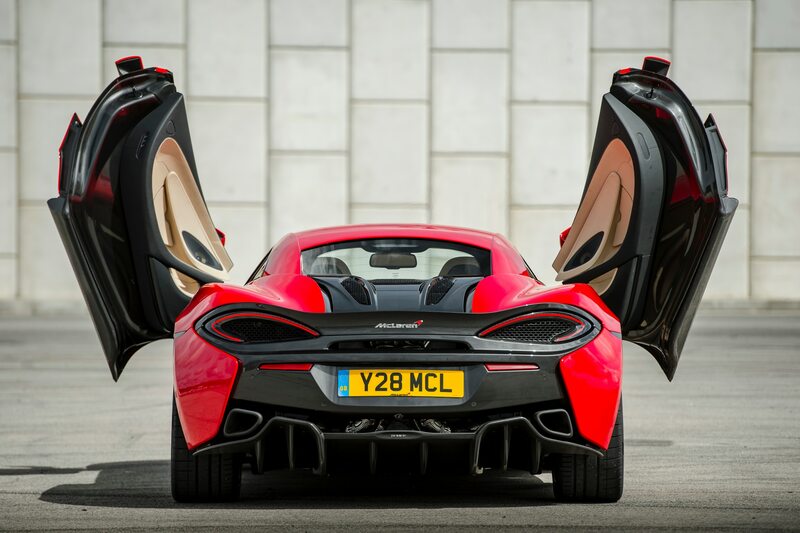 It’s dubbed, predictably, “MonoCell II.” Mounted behind the two seats is the familiar 3.8-liter V8 with two turbochargers, and it still drives through a seven-speed dual-clutch transmission. 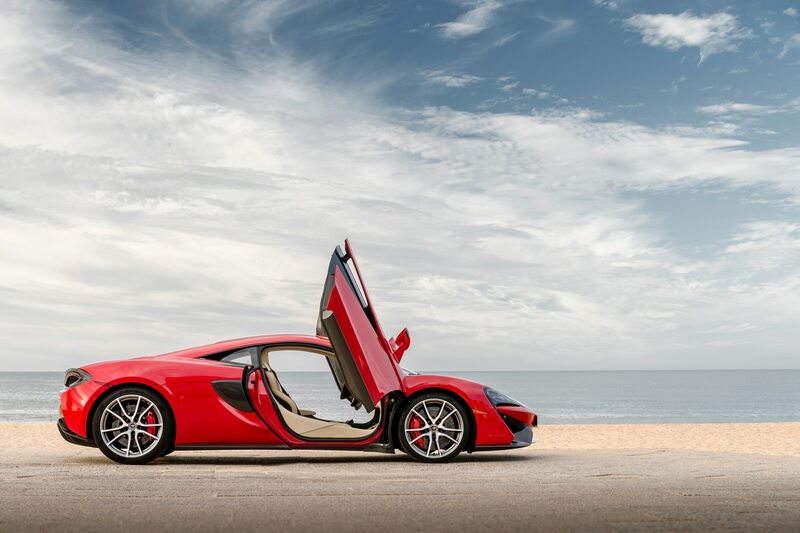 The $187,400 sticker price, on its face, seems like the bargain of the century when you consider a 650S costs from $273,600 with similar hardware. 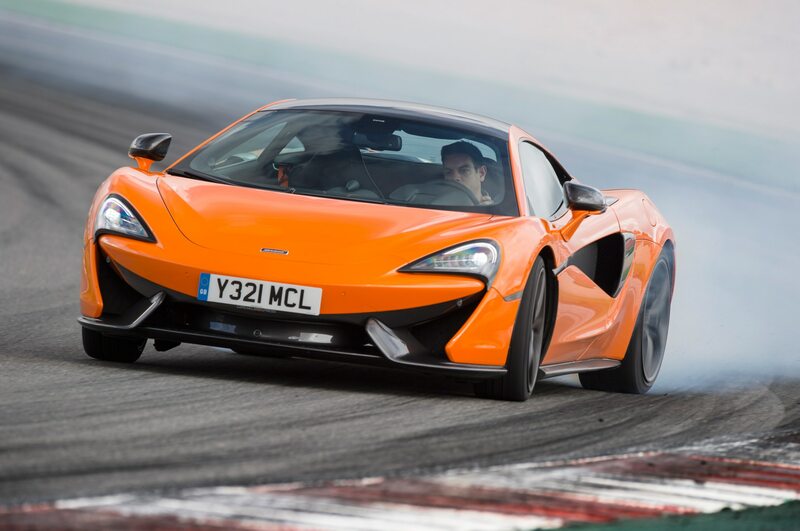 However, aside from the small matter of the missing 79 hp and 57 lb-ft of torque — though 562 hp at 7,400 rpm and 443 lb-ft at 5,000-6,500 rpm is hardly shabby — there is some cost-shaving evidence when you look at the suspension. 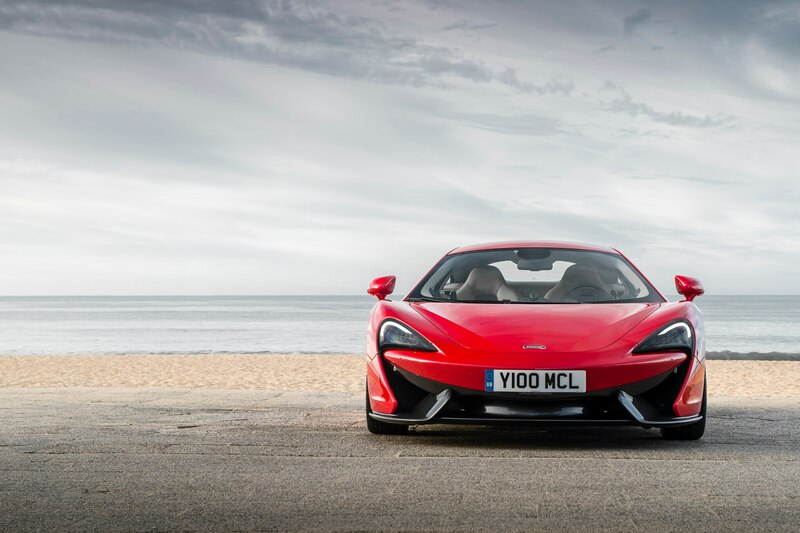 Gone is McLaren’s hydraulically linked ProActive Chassis Control system; in its place are conventional, though still electronically variable, dampers, and good ol’ fashioned anti-roll bars. 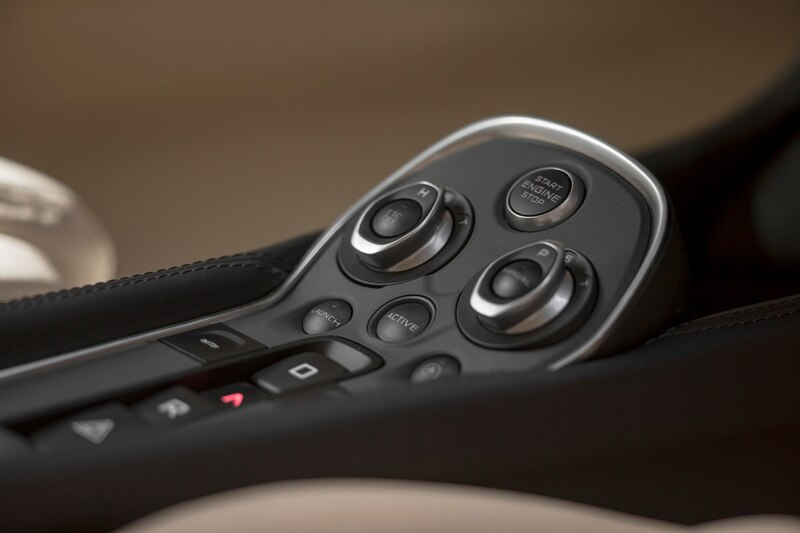 It’s a heavier and cheaper solution, but I hope it might actually enhance the feel and feedback we’ve heard about. 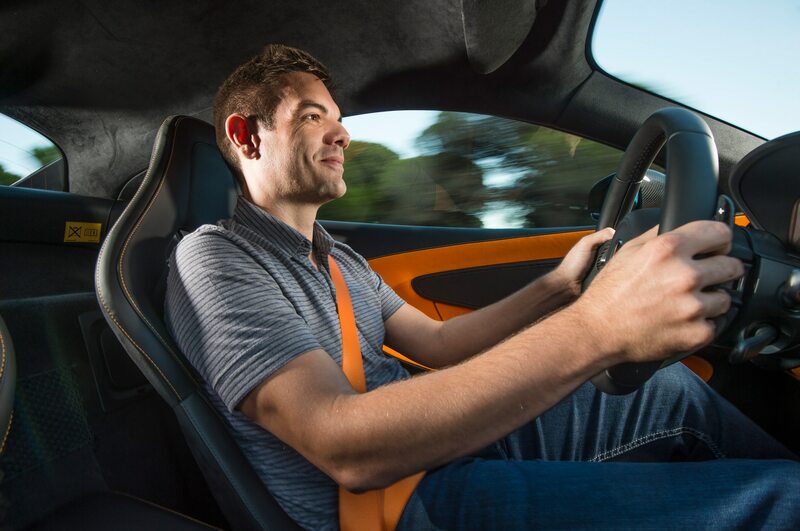 Even Vinnels quietly admits it’s probably a more predictable, intuitive setup. 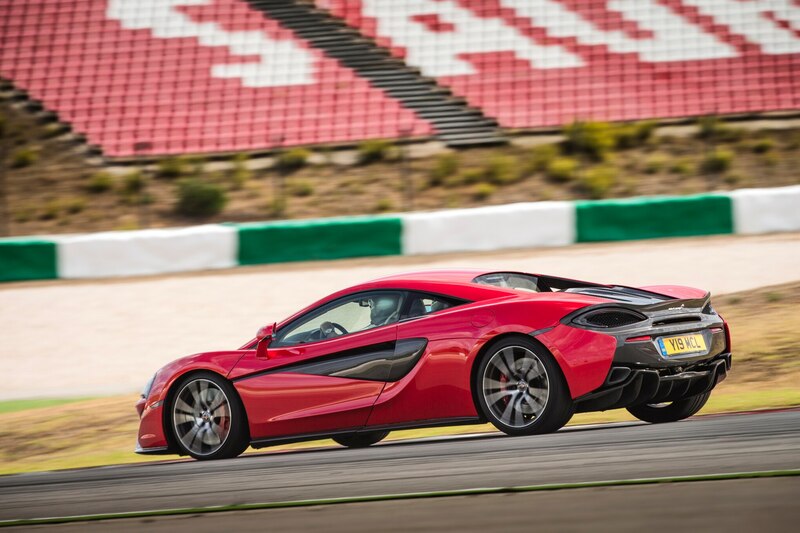 Less than a full lap of Portimao allows the 570S to demonstrate those qualities in abundance. 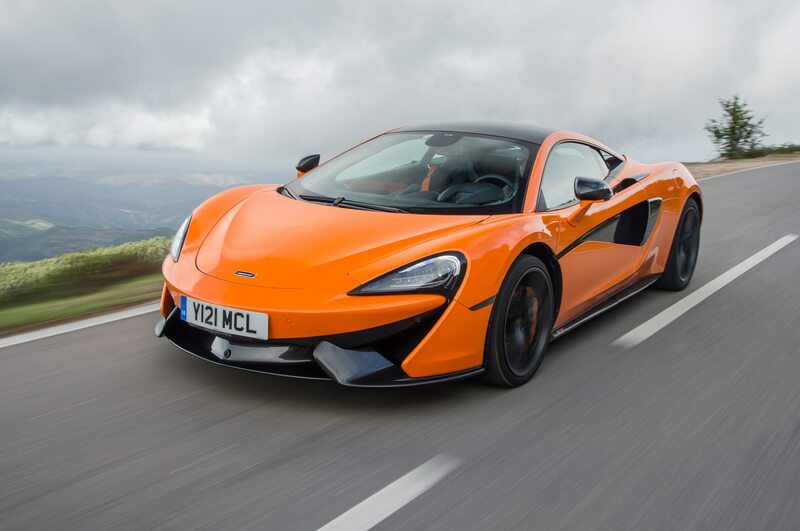 Let’s not for a moment pretend this isn’t a searingly fast car — 0-60 mph in 3.1 seconds and 0-124 mph in 9.5-seconds — but as McLaren promised, it’s not the scale of the performance that defines the 570S but rather the manner in which the driver can harness it and feed it to the surface on their own terms. 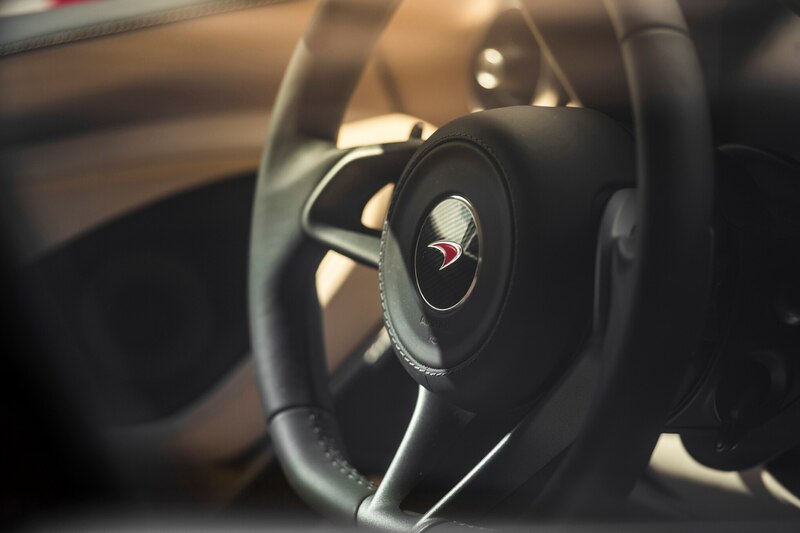 Immediately you feel connected to the car by tactile steering of remarkable clarity. 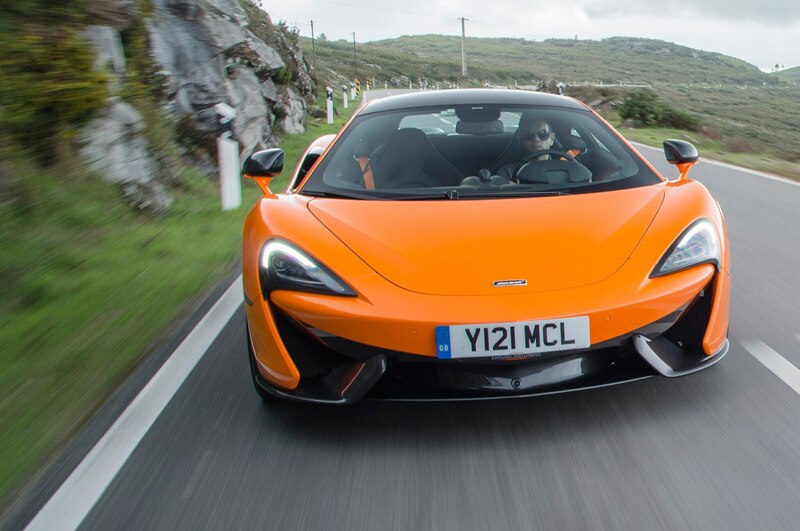 The rack is quicker than a P1’s but not quite as aggressive as a 675LT’s, and it feels perfectly judged, imparting a real sense of agility. 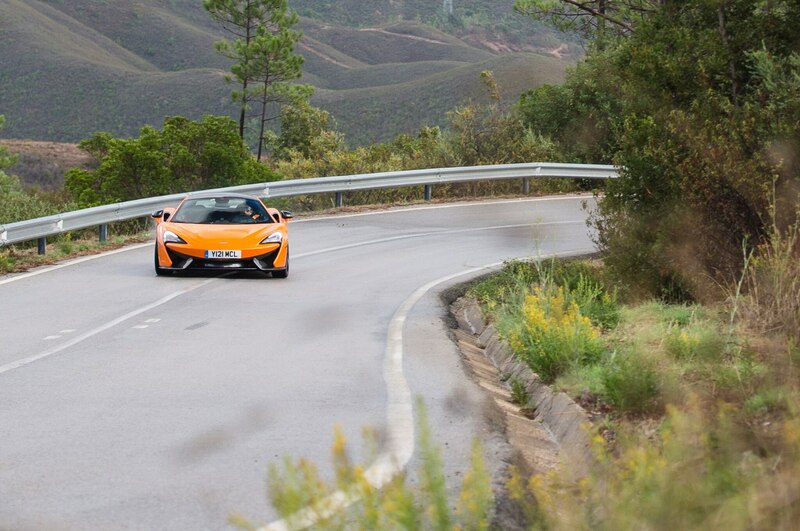 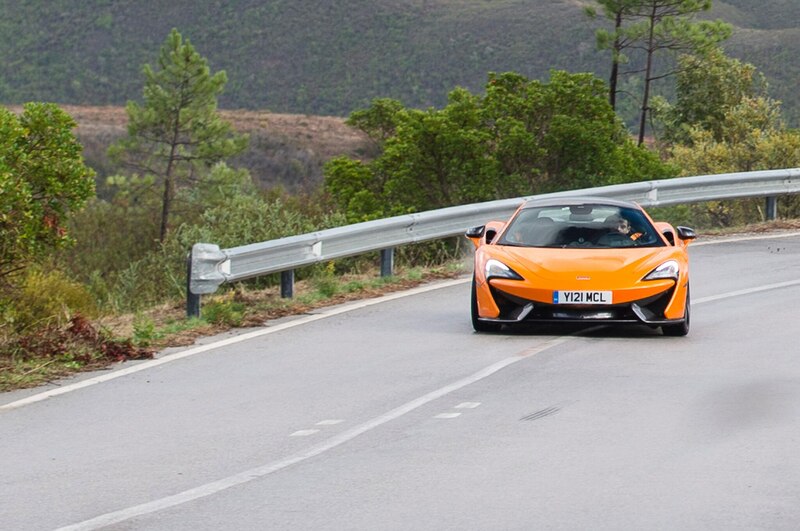 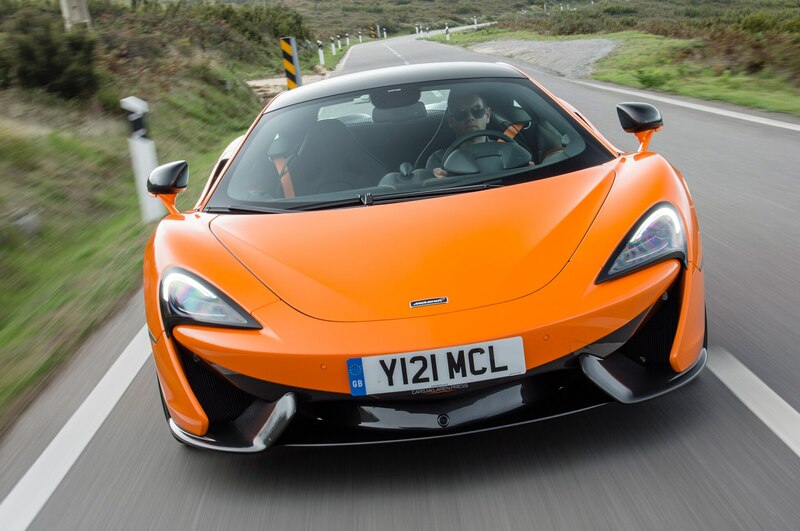 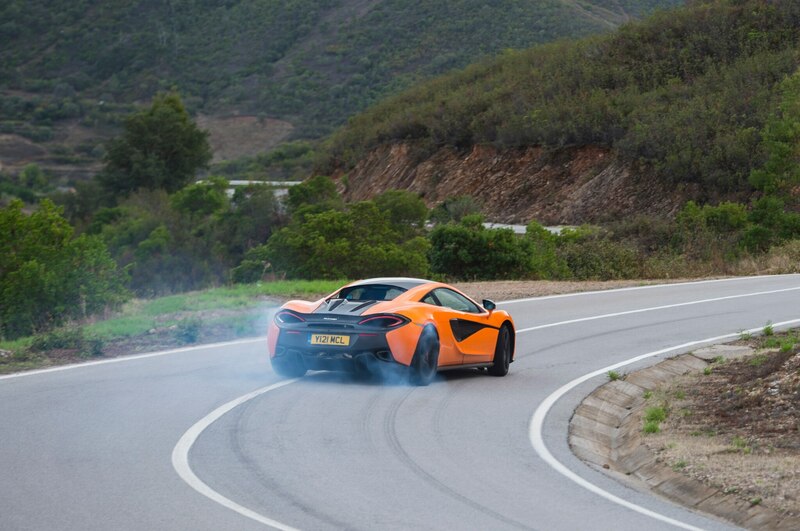 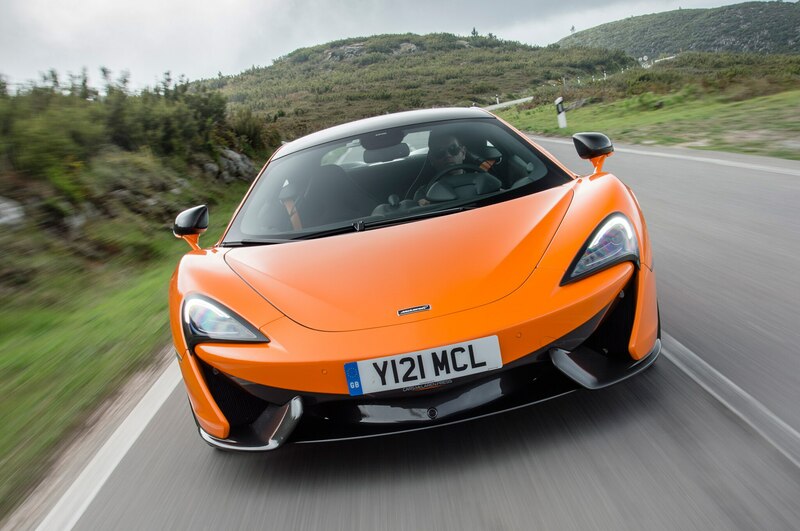 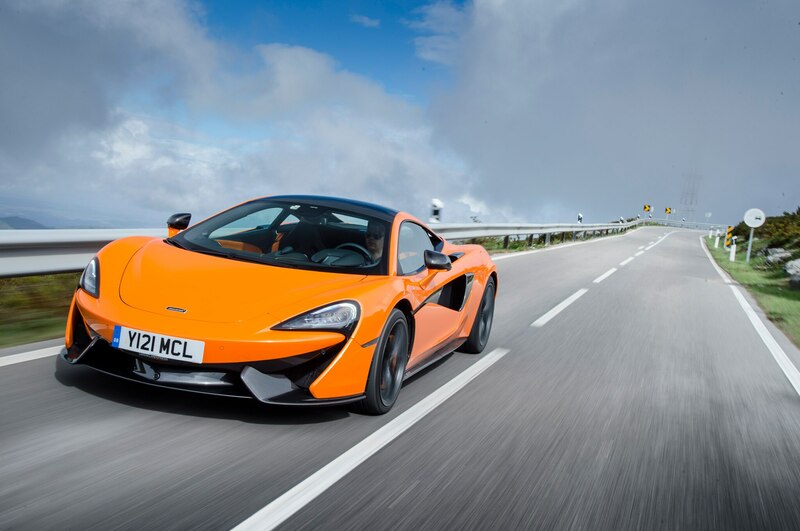 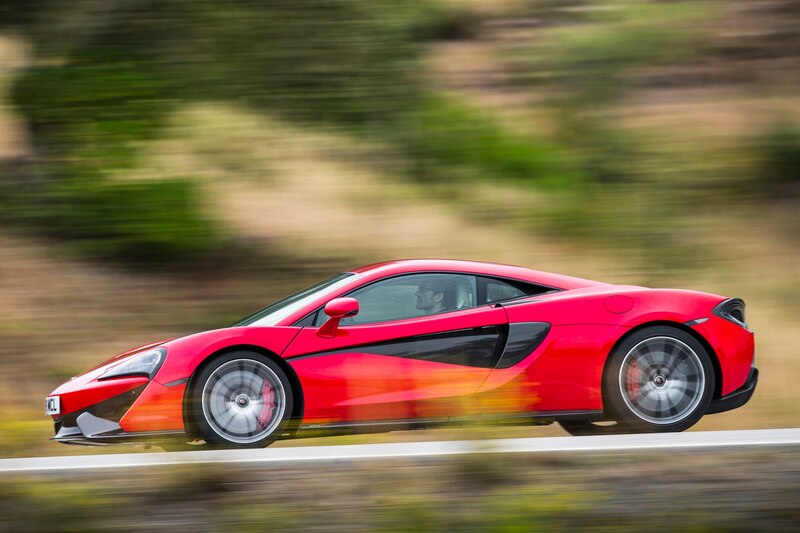 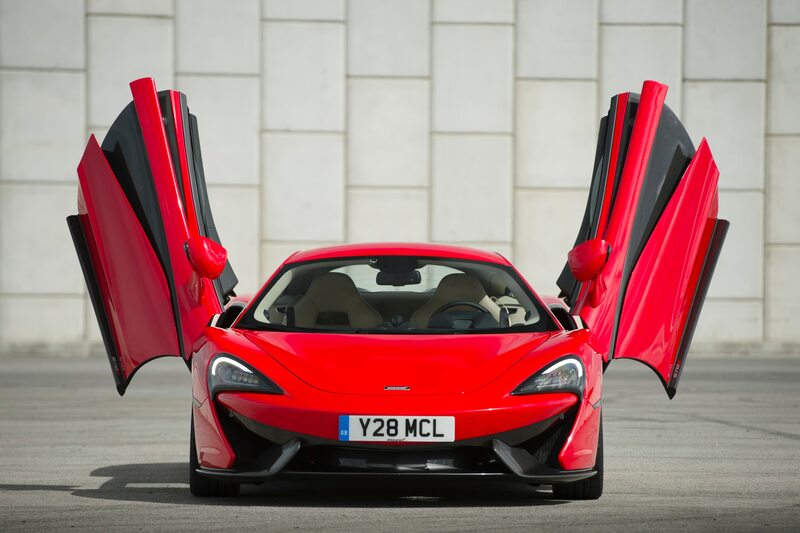 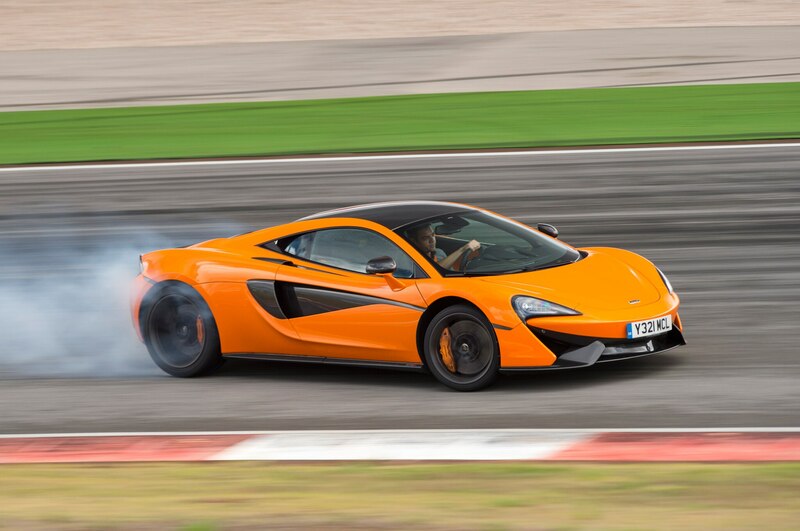 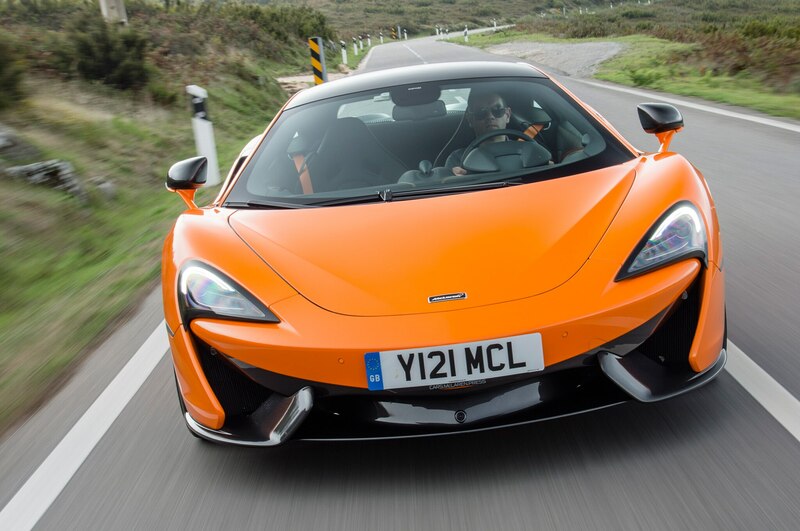 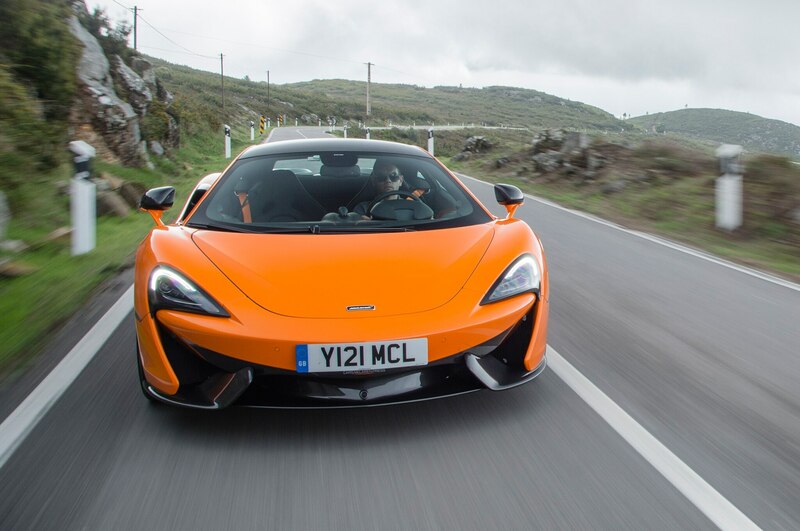 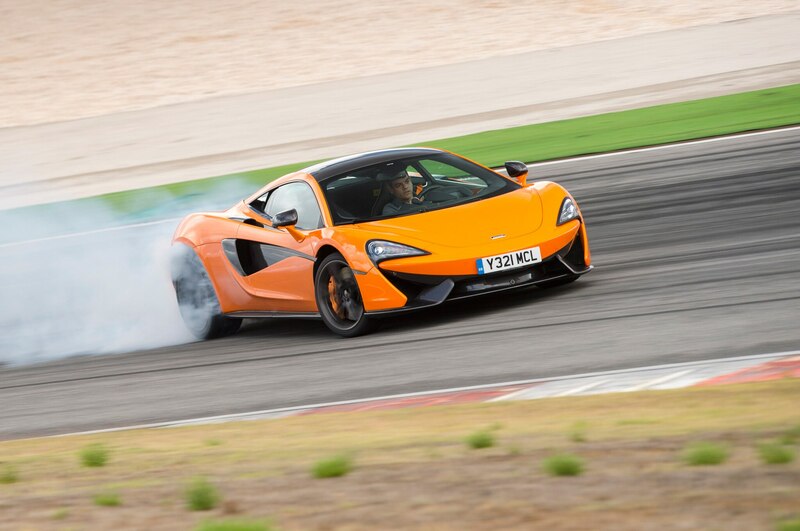 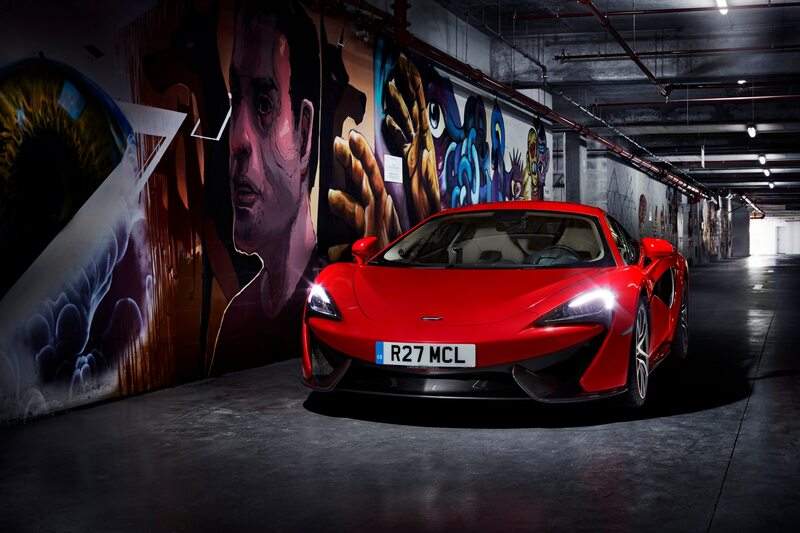 The first right-hand hairpin reveals strong front-end grip and none of the understeer that you can feel in the 650S. 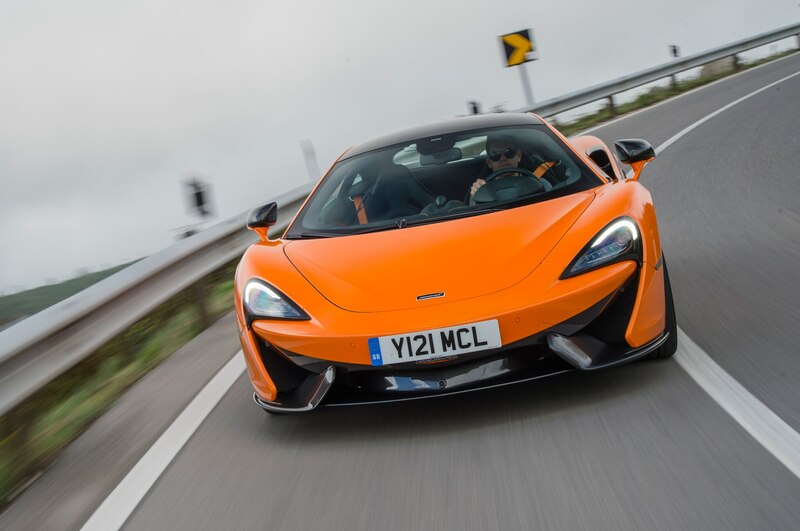 The engine actually doesn’t feel quite as strong as the official acceleration figures suggest, but again the balance of grip and power is defined sweetly and the 570S exits corners with just a shade of oversteer, smoothed away neatly by the new Dynamic setting for the stability control system. 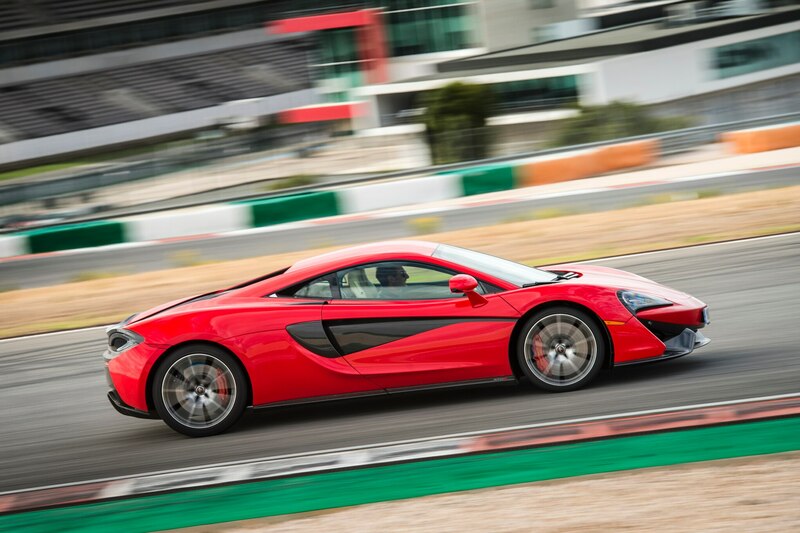 On the circuit I’ve got the powertrain and handling systems set to Track with the ESC button pressed once to access Dynamic mode. 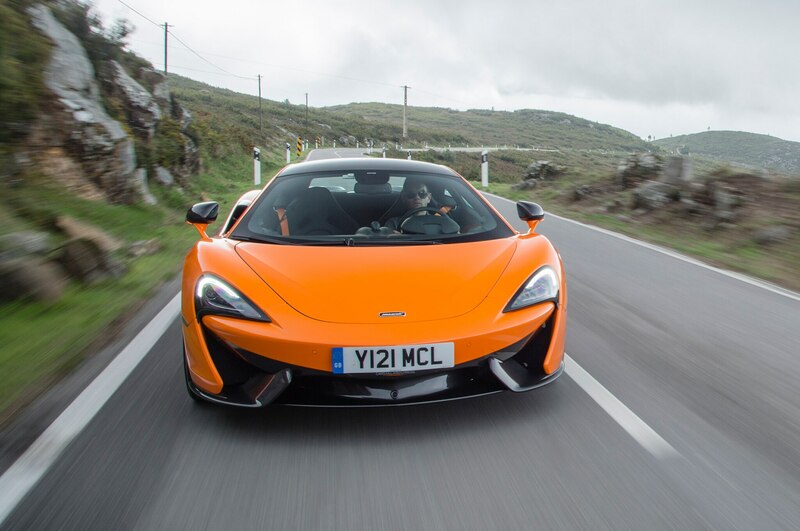 Body control is superb, but this isn’t a locked-down, all grip and no finesse sort of car; you’re busy at the wheel, calming the 570S as you brake from high speeds over the bumpy, cresting braking zones that litter Portimao, gently correcting mid-corner and exit oversteer. 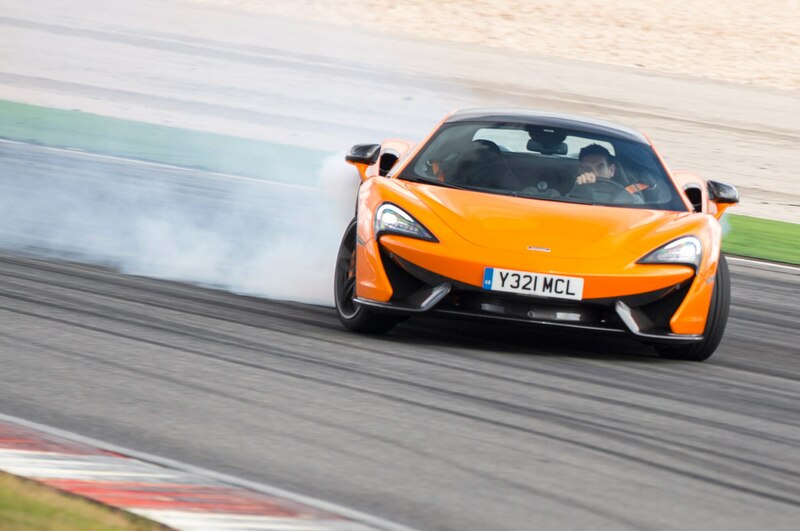 It really is an immersive, involving experience, and I am absolutely delighted McLaren has created such an enjoyable, malleable platform for drivers to truly express themselves. 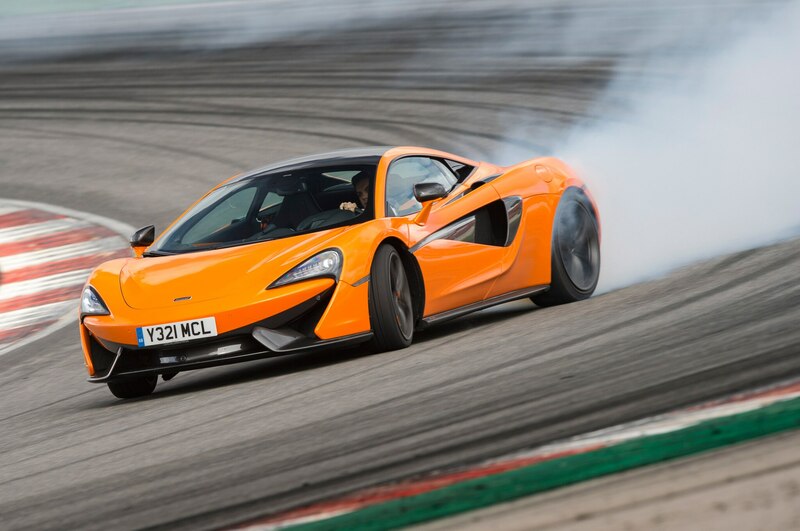 There are moments when I truly get the measure of the car — turning it in on the brakes, feeling the tail point the nose into the apex, and then exiting with the steering wheel straight and the car set up in an easygoing four-wheel drift. 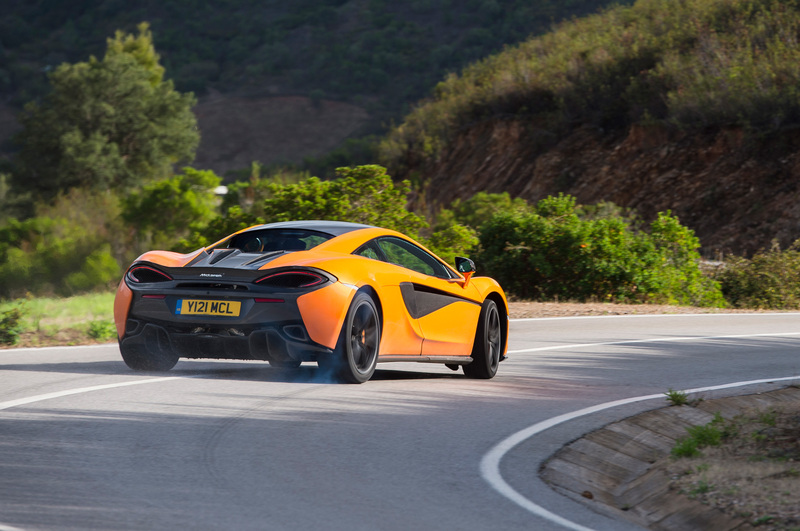 Vinnels was right when he mentioned re-creating long-lost thrills with modern levels of grip, composure, and raw performance. 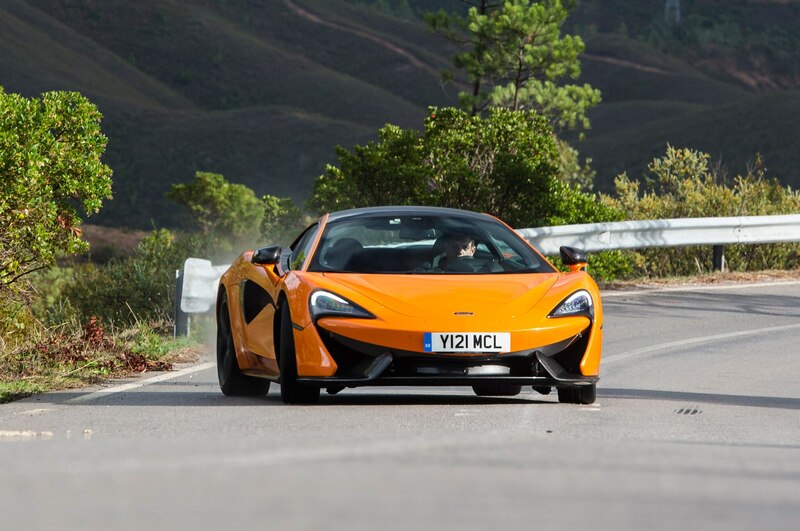 On the roads the 570S faces an even tougher challenge. 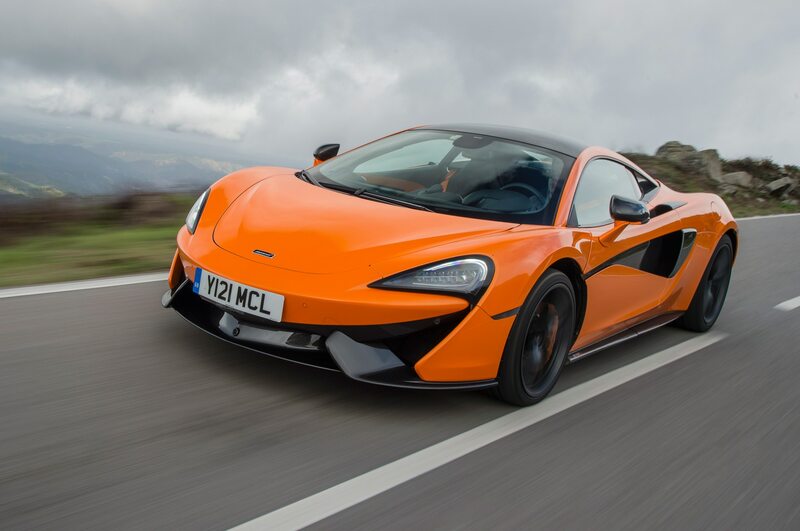 Dynamically it remains poised, nimble, and with a real lightness of touch, but the real question is whether it delivers the quality and sheer ease of use of the indomitable Porsche 911 Turbo S and vault-like Audi R8. 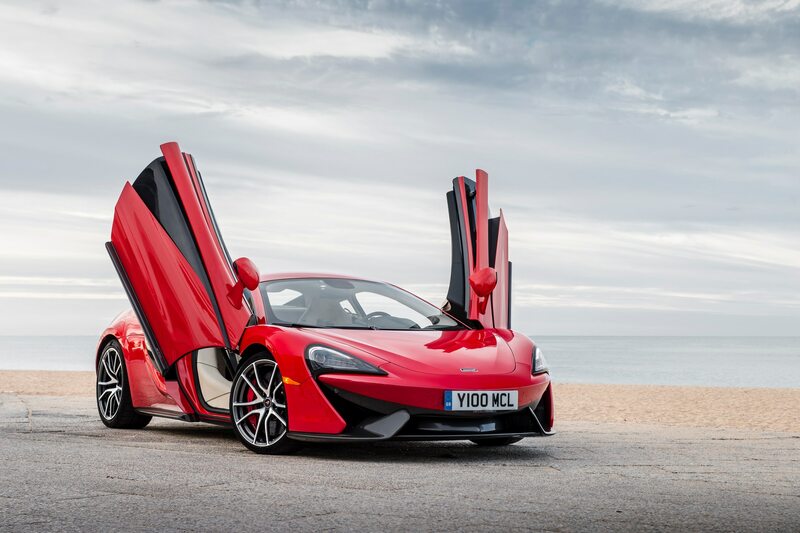 Some things are inescapable: Despite the radically cut-away sill sections and new door mechanism that sweeps further up, the 570S is not the easiest car to drop into or climb from after a drive. 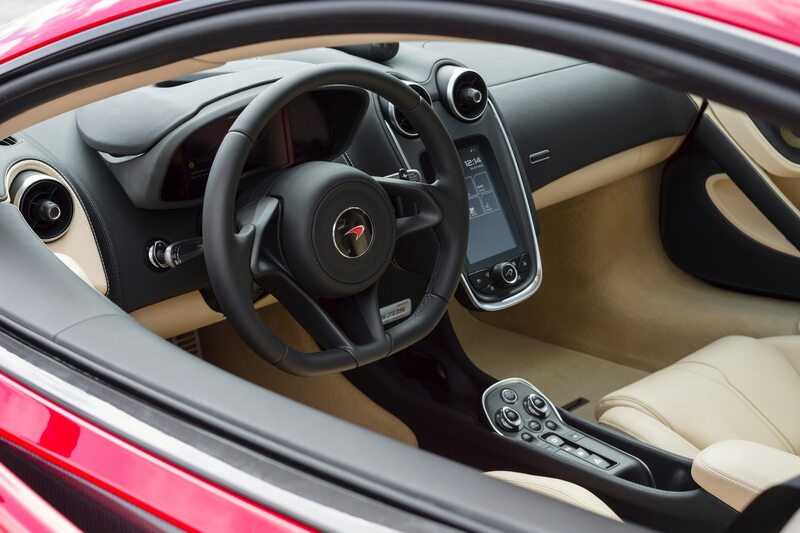 And you might arrive at your waypoint a little frustrated from the pretty average navigation system, while wondering if some of the buttons and dials are befitting of a $187,400 car. 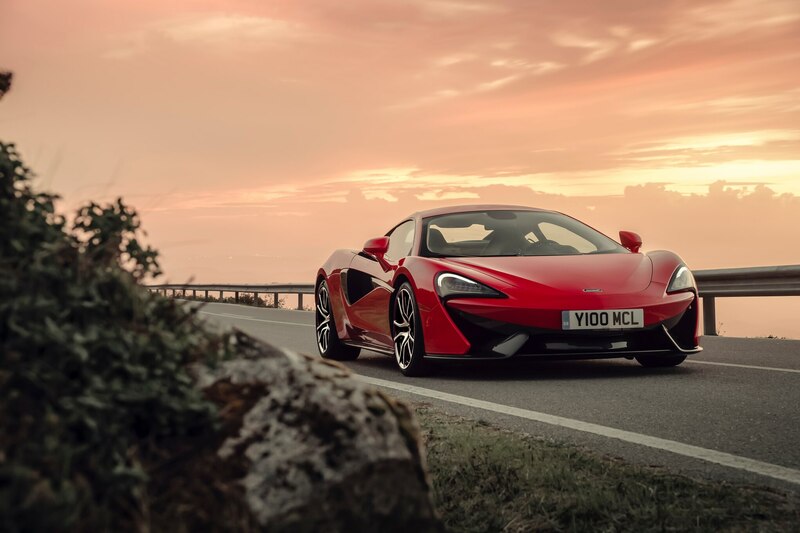 The 570S is actually a very special place to be and feels more spacious and comfortable than a 650S, but perceptible quality is not on a par with German competitors right now. 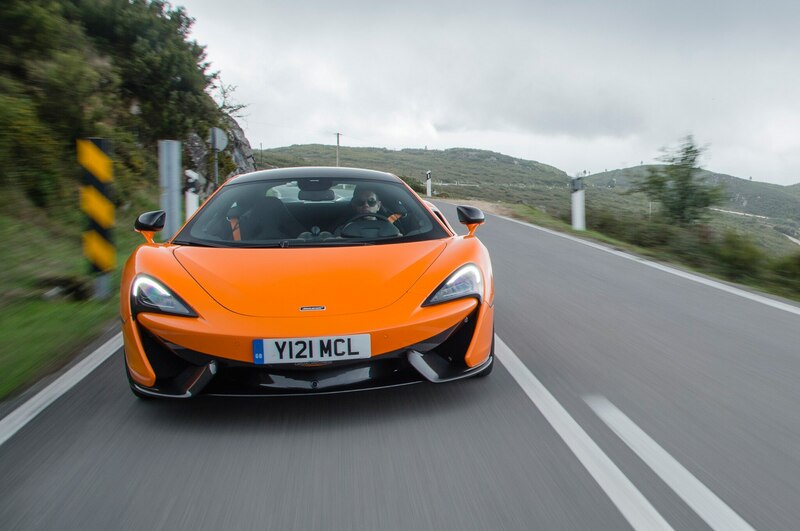 Of course the 570S does things the Germans can’t, too. 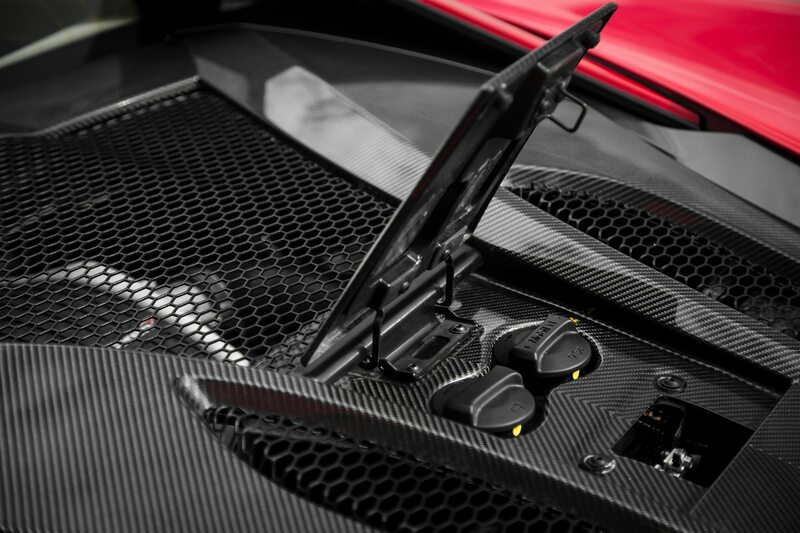 The carbon-fiber construction means it’s considerably lighter than the competition at 3,186 pounds (an Audi R8 V10 Plus comes in at about 3,450), and you feel the difference every time you ask the car to change direction. 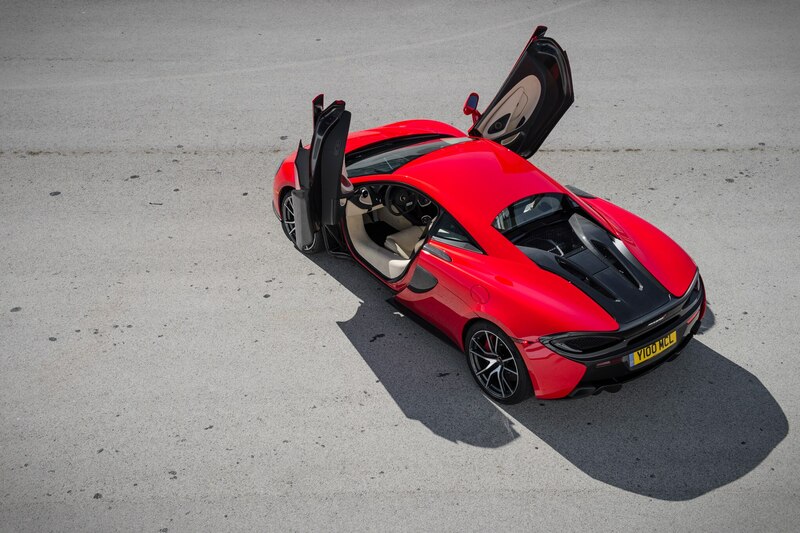 This is a seriously agile chassis that seems to burst with energy at all times. 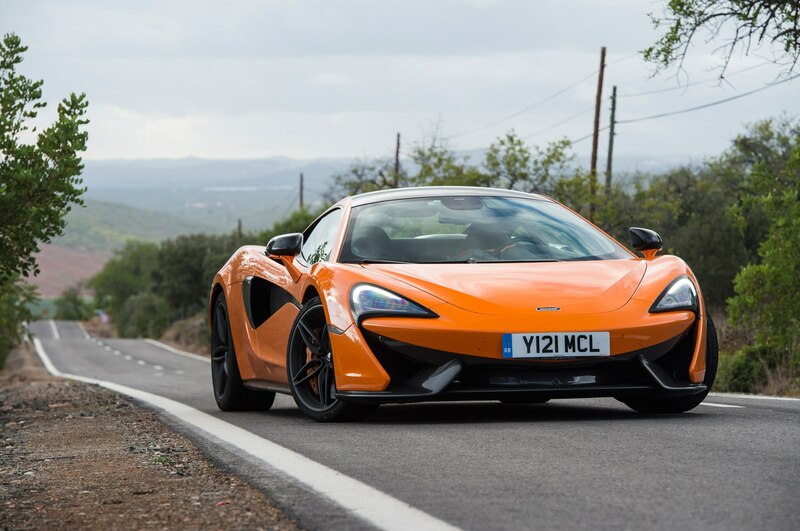 The steering feel is even more impressive on the road, and its texture and subtle shifts of weight through any given corner provide an amazing amount of detail about the car’s behavior and the grip offered by the surface. 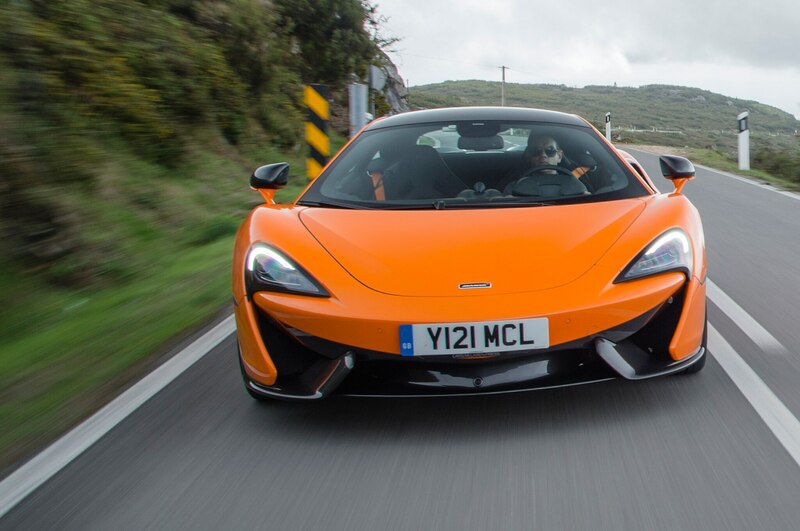 And while the engine can’t match the response or howling ferocity of a naturally aspirated V10, it really does start to feel unsettlingly fast once you pass about 4,500 rpm, especially away from the wide expanse of a race circuit. 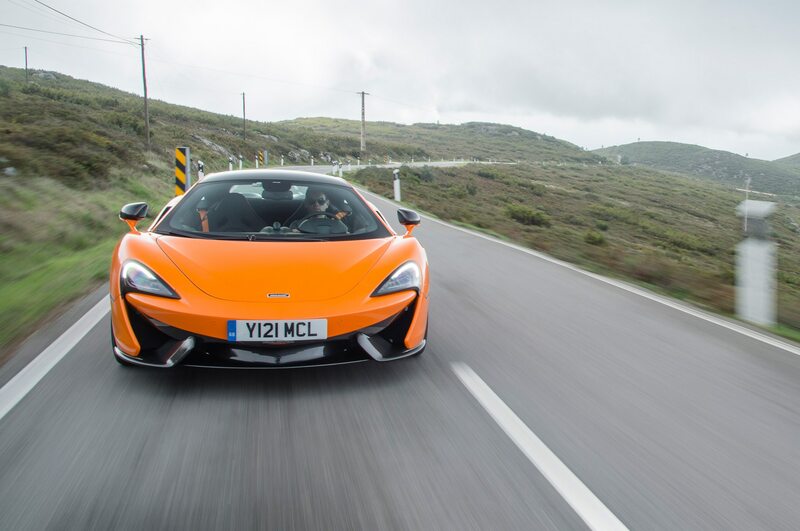 Overall, its blend of 911 Turbo S performance, GT3-like agility, and true supercar star quality that so appeals in the R8 is unique and deeply covetable. 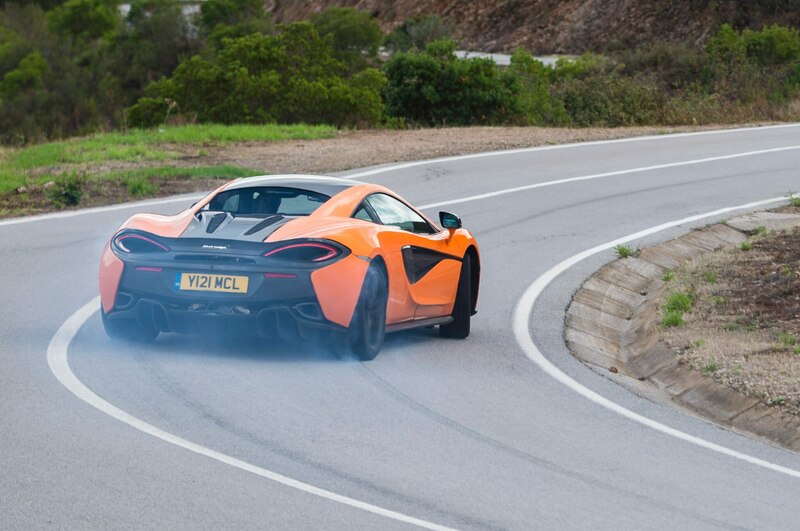 McLaren nailed this one.